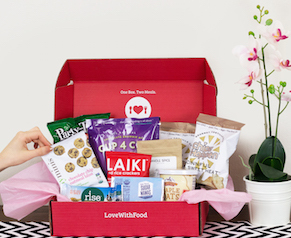 Spring is almost here, and it’s a time of new beginnings and change – which is why our April box theme is (drum roll please)…”Be the Change!” Next month’s box has all the snacks you need to push you to make that change you’ve been thinking about – maybe a new job, a new relationship or just a new routine! Any change, big or small, takes a lot of courage – and that takes snacks. Our photographer and videographer extraordinaire Katie is here with the April Sneak Peek to show you what life-changing snacks you can expect in April! 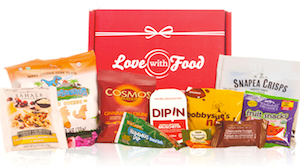 What's in the Love With Food April '17 Box? SPOILERS! Congrats to our March Sneak Peek winner! Thanks so much to Nancy M.! Your incredibly heartfelt answer to our March Sneak Peek question made us feel all the feelings! You’ve got a snack box coming to you soon! It’s easy! Just tell us what change (big or small) you’re making in your life this month. Leave a comment letting us know, and the best answer wins a special snack box!